Welcome to our collection of levidrome games. You can have fun with levidromes by making sentences, finding pairs, making drawings or just playing some games. Enjoy the collection of games we have on our site. What can you do if you have a list of words, especially cool levidromes? Words and word search puzzles go hand in hand. 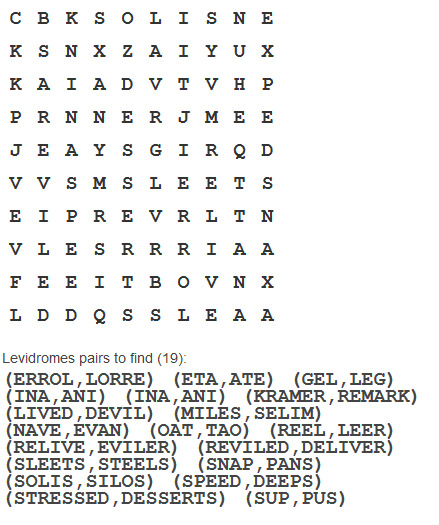 Check out our Levidrome Word Search Puzzle. It changes every time you refresh the page, so come back often if you enjoy word searches! 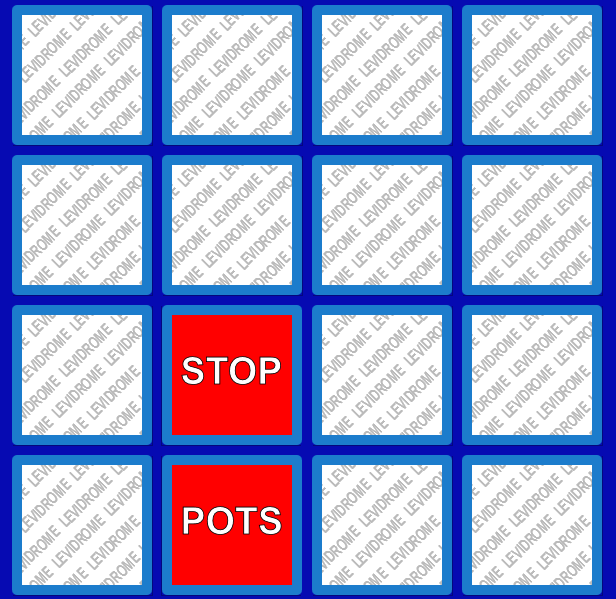 Although we didn't create the following game, we have included it in our list so you can find all known levidrome games easier. 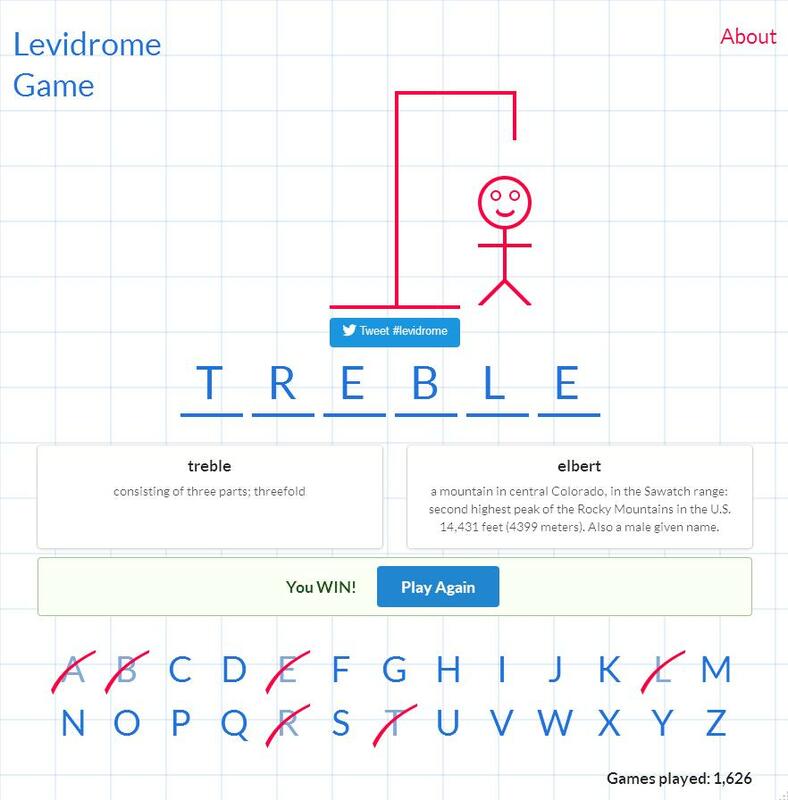 Hats off to Rob Wise, Eugene Arkhipov and Renan Aguiar for adapting the popular Hangman game to find two words instead of one. 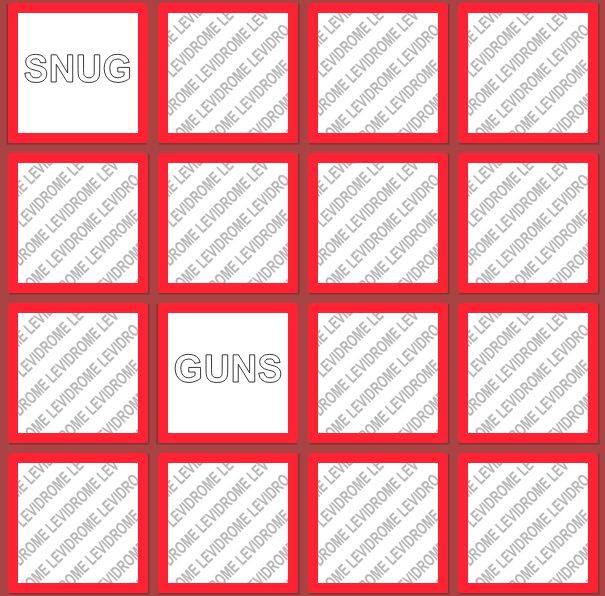 The game will provide 2 answers, with definitions of each of the levidrome pairs. 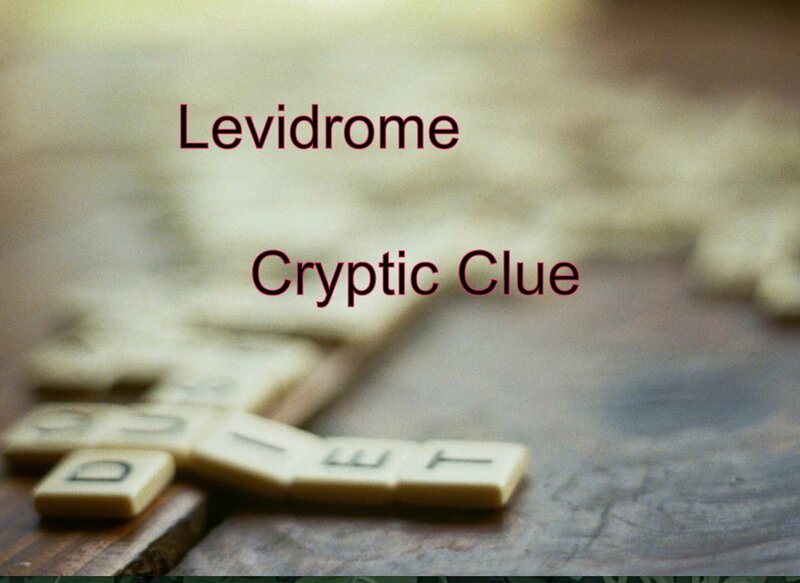 Click on the image or visit Levidrome Game to give it a try. Have fun! Cryptic clues started to be seen on the Lucky Budd Twitter Account. or the Daily Levidrome Twitter Account. Every week, there would be a clue to a levidrome pair. You would try to guess what the levidrome pair is based on the clue. It was one of the first levidrome games to come out.